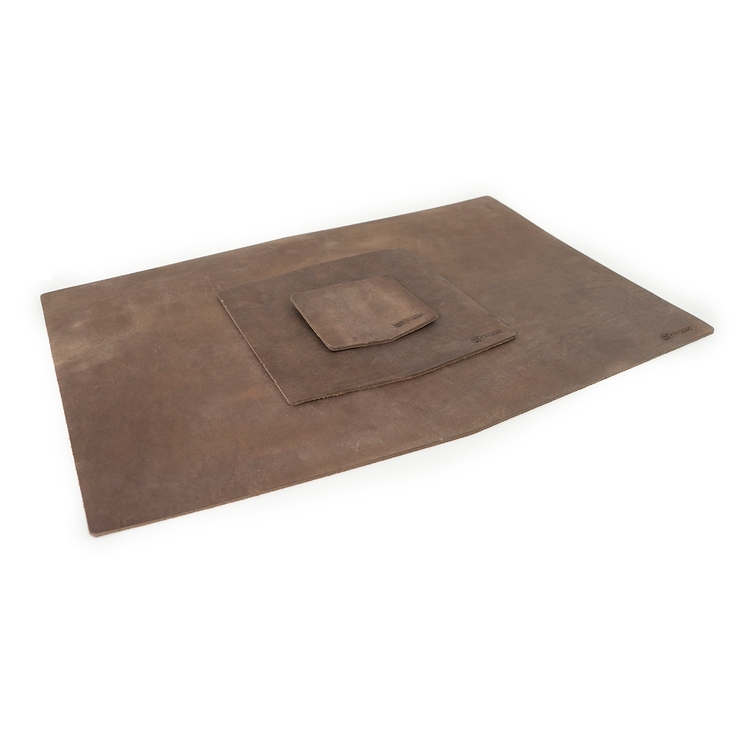 Dress your desk with this stylish leather gift set. This durable desk-ware works as hard as you do preventing unwanted scratches and dings while you work. It’s the perfect gift for your dad, grad, boss, or yourself! This new gift set uses our thick dark brown or black top-grain leather for all 3 items. Handcrafted with thick leather and proudly made in USA.